Washington, D.C. – Environmental justice community members celebrated a ruling which will require chemical facilities to disclose unpermitted toxic chemical emissions to the public. The United States District Court for the District of Columbia ruled that the U.S. Chemical Safety Hazard Investigation Board (CSB) had been "unreasonable" in delaying action on a 1990 Clean Air Act mandate, which requires the board to establish regulations to characterize dangerous air emissions resulting from chemical incidents and disclose them to people living nearby. The lawsuit was initiated by Public Employees for Environmental Responsibility and several community groups who have been directly impacted by unplanned toxic chemical releases, including the Houston Air Alliance, Louisiana Bucket Brigade, and others. In its just-released fiscal year 2020 budget request (pg. 13), the CSB has implied that it intends to comply with the court order instead of pursuing appeals or other measures to delay the rule-making process. CSB is requesting an initial expenditure for personnel and consulting along with an ongoing expenditure to maintain a new database of hazardous and unpermitted chemical facility incident emissions. Although over a thousand chemical facility incidents occur each year, there has been no mandatory reporting system or public disclosure of the amounts of toxic chemicals unintentionally released into the air, and which might impact people in surrounding communities. Environmental justice communities living near dangerous and polluting chemical facilities are rarely provided any verified or substantial information on their exposure to hazardous chemicals following unpermitted releases, which adds unknown chemical hazards and health impacts to those already felt by the everyday pollution they experience. The court's order requiring CSB to fulfill its obligation under the Clean Air Act will help close this gap by characterizing unpermitted emissions and making that information available to the public; steps which are essential to understand what impact these emissions may have on people living nearby. Responding to the ruling, Michele Roberts, National Co-Coordinator of the Environmental Justice Health Alliance (EJHA), said, "The court ruled that CSB must finally give people the information we deserve in order to understand the full picture of how we're being harmed. 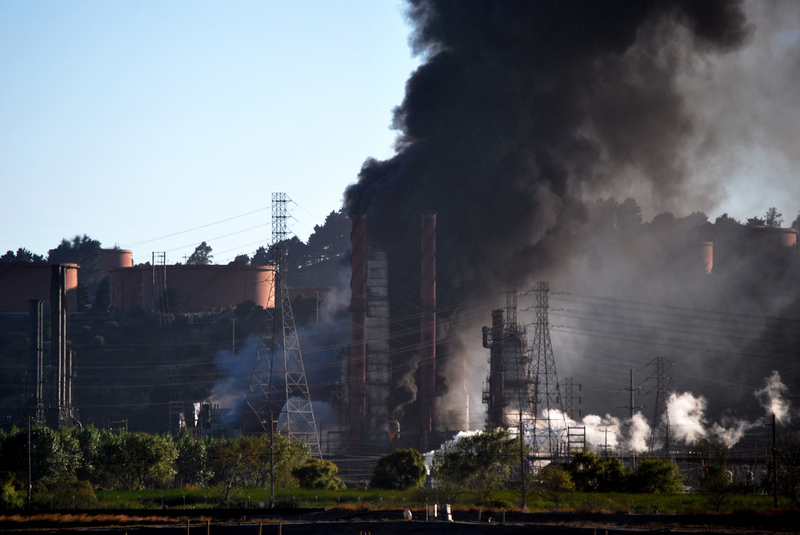 We've long known that people of color and the poor are far more likely to live within the disaster zones of these facilities and experience disproportionate exposure to their regular pollution and its resulting health impacts, but so unpermitted emissions stemming from incidents at chemical facilities have been a missing piece of the puzzle. We face cumulative and overlapping exposures, and this ruling will help fenceline communities and regulators better understand the full burden and health consequences dangerous chemical facilities cause. We urge CSB to listen to community input and enact regulations that require a complete and comprehensive accounting of all unplanned chemical emissions and, importantly, robust public disclosure that ensures not only that we have a right to know but that impacted people are made aware of exposures they face. We look forward to working with CSB to make sure an effective reporting rule is put in place." The Environmental Justice Health Alliance has worked to expand the awareness of the overlapping health and safety hazards related to hazardous chemical facilities, including health impacts from regular pollution and risks and health impacts created by incidents at chemical facilities. A demographic analysis of people living within vulnerability zones, titled Who's In Danger, found that the percentage of Blacks and Latinos is 75% and 60% greater (respectively) than for the average of the U.S. as a whole. The poverty rate near hazardous chemical facilities is 50% higher than the rest of the nation. Following up on this report, Life at the Fenceline (interactive national map, full report) found that nearly 40% of all Americans live within the disaster vulnerability zone of hazardous chemical facilities, and these communities frequently face disproportionate health, justice, and poverty issues, including the cumulative impacts of toxic chemical exposures. The Environmental Justice Health Alliance (EJHA) organizes industry reform strategies for safer chemicals and clean energy that leave no community or worker behind. Learn more about EJHA at http://ej4all.org/.